R|51} Greek Patera of finest time. Aphrodite riding on a swan. 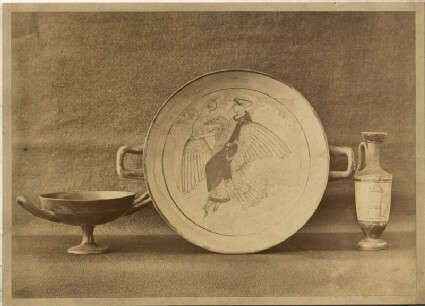 P.
Criterion of Greek drawing of fine central period. The wings to be copied by all pupils, as soon as their hand is steady enough, as a free exercise with the brush.